Husband, father, avid traveler and pilot-in-training (just to name a few). Rob Gaedtke rejoined the KPS3 team as Vice President of Creative Services in 2010 and became CEO five years later. His role is a straight-forward one: develop smart ways to get people to take action. This entails managing the day-to-day operations of the agency, helping all of our teams supply clients with strategic and creative solutions and products. With more than 15 years of digital and traditional marketing experience, Rob’s in-depth knowledge and understanding of emerging technologies amplifies the strategic marketing and communication services KPS3 offers. Rob grew up a math and science student with a passion for design and drawing, and always knew he wanted to merge the two in a career. He earned his B.A. in journalism with an emphasis in advertising and a minor in marketing, and worked as a graphic designer for KPS3 from 2004-2007. Rob then joined One To One Interactive (previously Twelve Horses), where he led the travel and tourism practice, overseeing all tourism-based clients. Rob volunteers his time throughout the community and is a long time board member of the Children’s Cabinet. 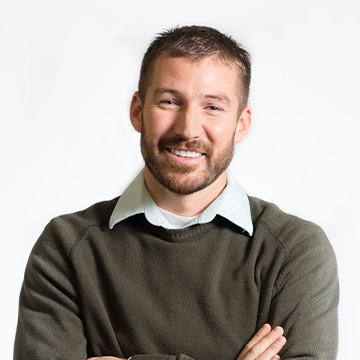 He has been recognized with numerous design and interactive awards and was named one of Reno Gazette-Journal’s Twenty Under 40 winners for 2011. Whether building an ottoman, a website, a quadcopter or a team, Rob is inspired by the strategy and creativity it takes to put separate pieces together in a way that allows them to function as one. With a designer’s eye and a mechanic’s mind, nothing fuels Rob more than a solid set of data and (lots of) gadgets.